Whenever we talk at the same time as someone else, we interrupt each other and it is almost impossible for effective communication to occur between us. Interruptions can take other forms than just speaking over each other. For instance, mobile phones going off, starting to listen to music or watching the TV while conversing with someone, are all ways in which we can lessen the ‘integrity’ of our listening to someone. •	"I know, that’s exactly what happened to me!" •	"My situation was even worse than that." •	"I’ve got an even better story, listen to this….."
•	"I found exactly the same, the Council/ school/my kids/ my parents/my partner …… are hopeless"
Many of these are often considered good listening in the sense that they provide tea and sympathy and sharing of a problem that can occur. However, the problem is that the listener over identifies with what the speaker is saying and basically ‘shuts down’ from genuinely hearing what is being said as they assume that they know already. These practices can be described as ‘Active non-listening’, distinguishing them from ‘Passive non-listening’ which is where the ’listener' is constantly looking at their watch, yawning, seemingly thinking about something else and basically not interested. Although to interpret this non-verbal behaviour as 'proof' of their not listening is a mistake as discussed in Principle 5, That we speak only for ourselves. The main feature of passive non-listening is non-engagement with the speaker, for example by not responding verbally at all to things said or by not responding verbally with content that relates to what the speaker has said. Active non-listening prevents any real communication from occurring as the 'listener' comes back at the speaker with their own experience before they've fully heard what the speaker has said, assuming that they 'know exactly' what is being said and they 'understand completely', because they've 'been there'. In ‘Active non-listening’ the ‘listener’ is so interested they merge themselves with what is said and take over from the speaker, preventing any Effective Communication. "It seems like Fred really is a racist/ the council really are awful/ this job really does stink/ husbands really are horrible/ wives really do nag.......and there's nothing you can do about it! It's just the way of the world, they're all the same!" Many discussions are hindered by interruptions and often at the end those involved go away with very different views about what has been said. The only way to really know if someone has listened to us is if they have given us a summary of what we've said and allowed us to correct it if they have missed something or misinterpreted something. Someone may have yawned and scratched and looked at their watch the whole time we are talking and still have been able to hear what we said and be able to give us a summary that shows we have been listened to. To promote effective communication in mediation, mediators allow disputants ‘uninterrupted time’ during which they can say all that they want to about a dispute. At the end, all the mediator might say is "Is there any more you want to add?" and give them time to consider this. A mediator would then give a summary back to the person of what they think they said so that the person can clarify any misunderstandings. There are a lot of different views about summaries and how they should be done and how effective they are and this practice is considered in more detail on the Conflict Resolution page. 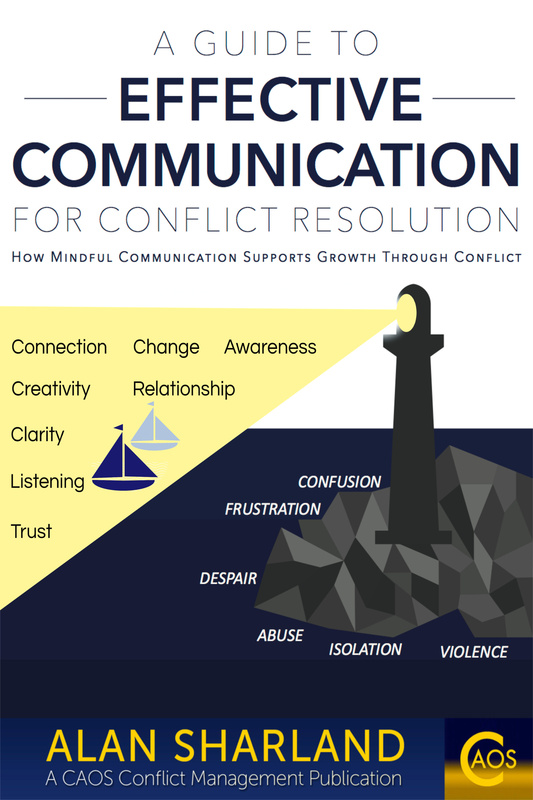 There are important things to consider based on the Underlying Philosophies of Mediation that inform how a summary is done in order to maximise effective communication and support conflict resolution. The skill of Summarising is one of the essential skills for communication success. Few people are given the chance to speak uninterrupted, and they will rarely hear a summary back of what they have said from the listener. Sometimes there can be a worry that if someone is given a chance to speak uninterrupted, they will go on forever, but often they will take up much less time than if they are interrupted. Conversations where people seem to go round in circles and keep repeating themselves, or go off at tangents to the main topic will usually be because they have been interrupted with an opinion or advice which suggests to them that they haven’t been fully understood. As a result, they feel they have to either repeat themselves or go off at a tangent to explain more detail about what they are saying because the listener seems not to be 'getting it'. The shortest distance between 2 points is a straight line and in the same way, an uninterrupted stream of talking will flow more quickly to its end point, than one that is continuously caused to deviate from its path by advice and opinions and other comments. The repetitions and 'wider explanations' such as going off at apparent tangents are the speaker's response to these interruptions, leading to a longer period of speaking. "Everybody thinks they are good at listening – after all, it just involves a bit of concentration and not saying anything. Simple. Or is it? In 1984 Howard Beckman and Richard Frankel recorded how long doctors let patients talk for without interruption. The average time was just eighteen seconds. Remember, these doctors knew they were being studied so one would imagine they were trying to show off their listening skills. When the doctors were presented with the research two things happened: firstly, they insisted they had let their patients talk for much more than eighteen seconds; secondly, they claimed that if they listened without interruption they would never get anything done, as patients talk endlessly. So Beckman and Frankel did some follow-up research. This time the patients were allowed to talk for as long as they wished without interruption. Most talked for only thirty seconds and no patient talked for more than ninety seconds." When people are used to being interrupted there is a much greater likelihood that they will not be listening either when people speak to them, because they will have developed the strategy of thinking of their next answer or comment to squeeze in whenever they can - because it has become a competition to be heard - rather than concentrate on what is being said to them. In this way, ineffective listening is mutually induced in both people having the conversation. So basically, it only takes one person (me) to break the circle of decline in the quality of the listening. With the practice of uninterrupted time, a listener can just listen and the speaker can speak without anxiety that they will have to fend off interruptions. The effectiveness and the quality of the communication increases enormously as a result.